Erakor Golden Star triumphed in a penalty shootout to claim the Vanuatu National Super League title. 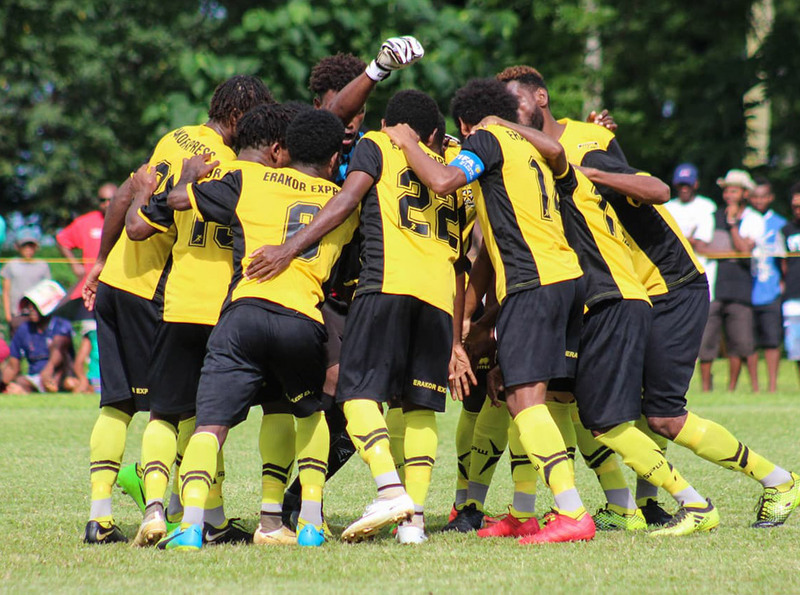 Erakor Golden Star booked themselves a return to the OFC Champions League for the third year straight when they took out the Port Vila Football Association Premier League Top 4 title with a 2-0 victory over Ifira Black Bird. Over the weekend they went one step further to be crowned VFF National Super League Champions after overcoming Malampa Revivors 6-5 in a penalty-shootout decider at Luganville Soccer City Stadium in Santo. A goal for Erakor Golden Star in the first half was cancelled out by a second half strike from the home side. With the teams still inseparable after additional time it came down to a penalty shootout to decide the National Super League champions, and the order of the two sides in the OFC Champions League 2019 draw. Erakor Golden Star’s big-match experience proved crucial at this point with the side holding their nerve to win the shootout 6-5. Erakor Golden Star will go into the draw for the OFC Champions League 2019 as Vanuatu 1, while Malampa Revivors will be Vanuatu 2 for their second appearance in the premier Oceania club competition.